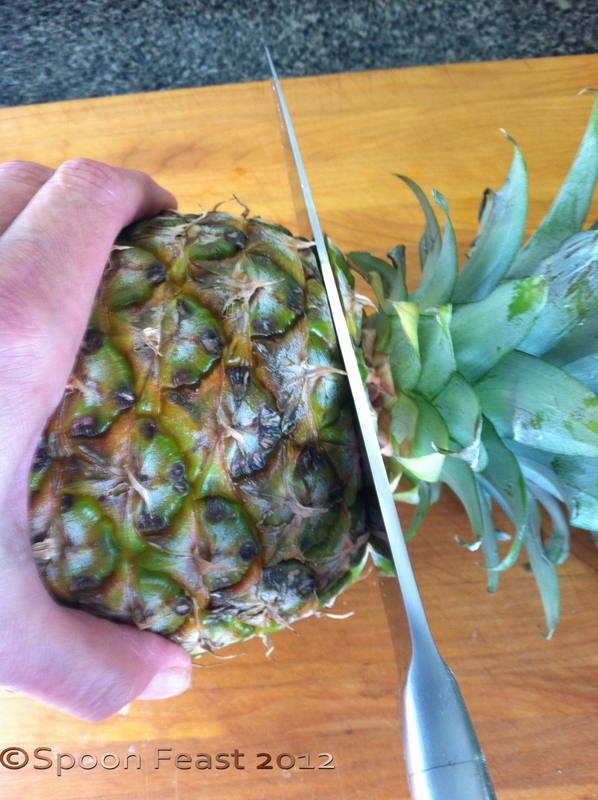 Here is how to cut that fresh pineapple you have in your kitchen. 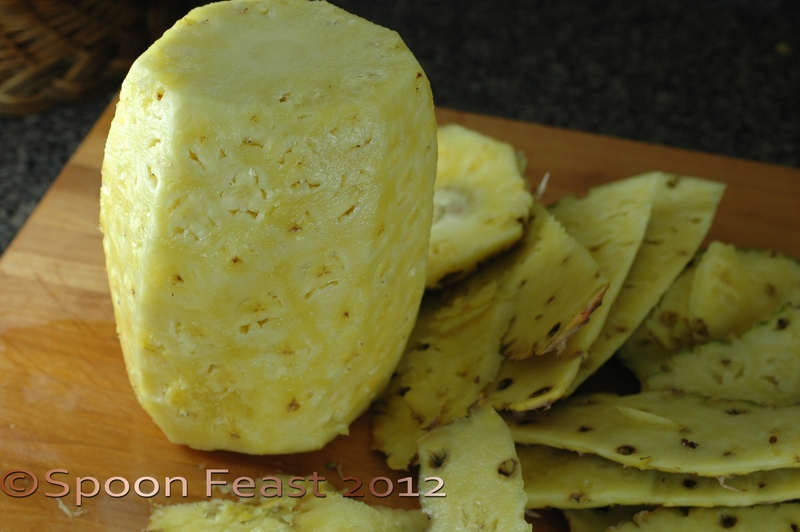 There are several ways, but I am going to show you the most practical since I doubt you are interested in carving a spiral design into your fruit. Notice the dark “eyes” around the edge and the round core. 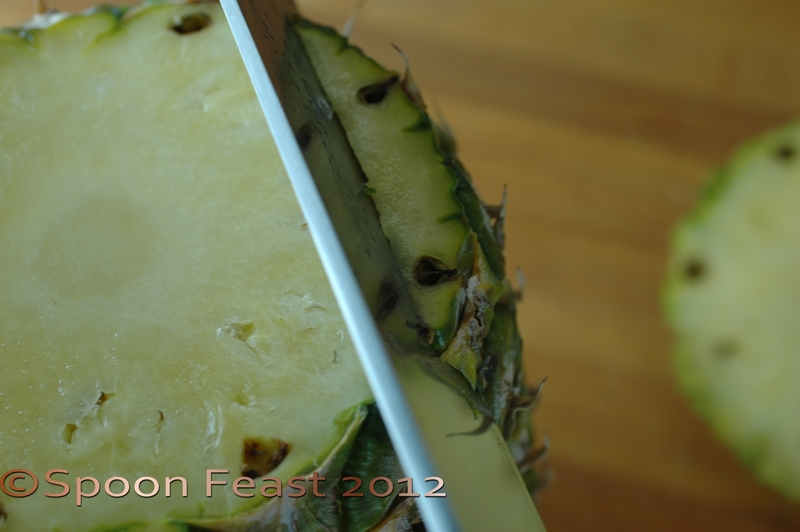 Place the edge of your knife behind the eyes and cut the peel off. 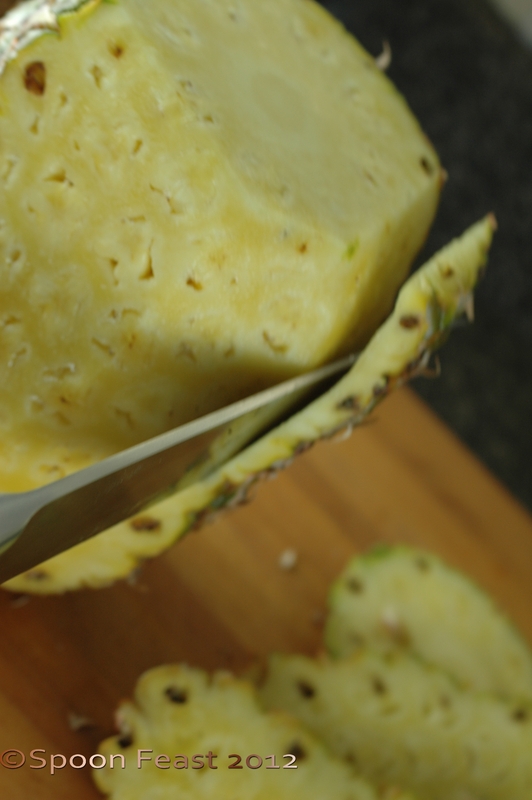 Cut the rounds into quarters, leaving triangle shapes, the core being the tip. You can cut the tips off, or leave them as something to hold onto while eating with your fingers. Or use a fork and knife. 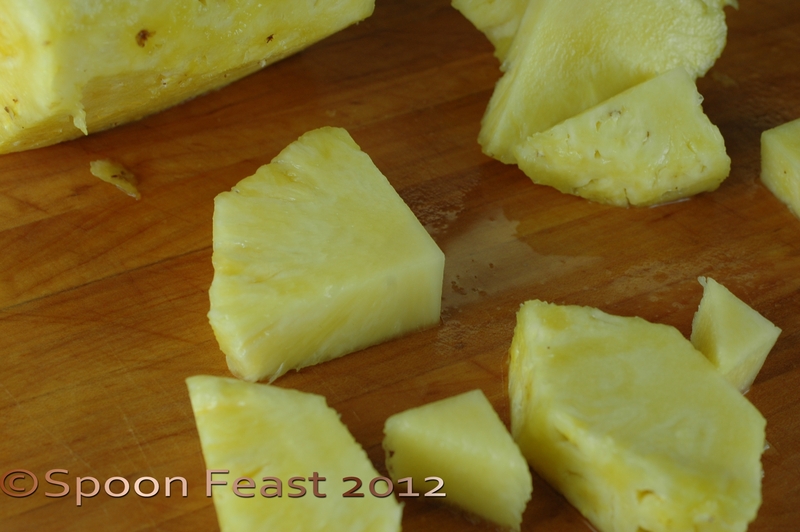 Place the cut pineapple in a nice dish and serve. 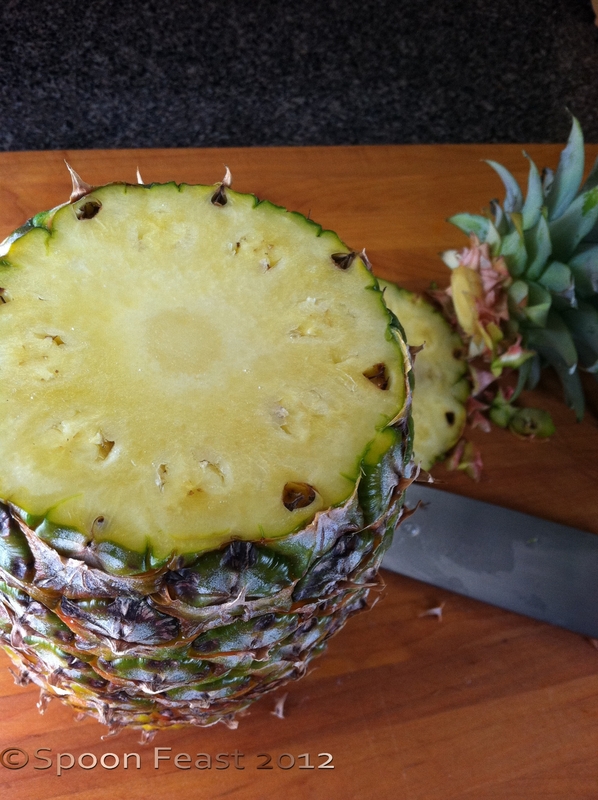 Lay the pineapple on one side and carefully cut off the top. 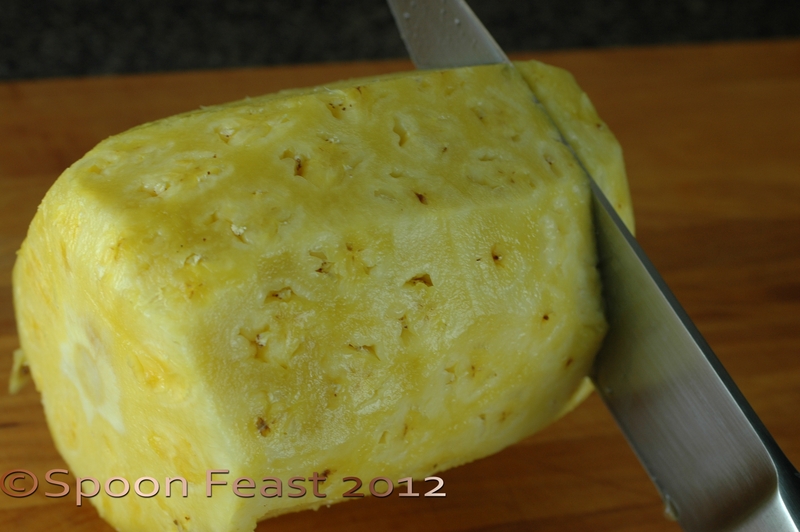 This entry was posted in basic skills, To Tyler: How to Cook: and tagged cutting pineapple, fresh pineapple, Fruit, Fruits and Vegetables, Pineapple. Bookmark the permalink. Welcome Uru, Just getting started! Thanks mom, however my dads pineapples are a bit smaller then store bought ones. 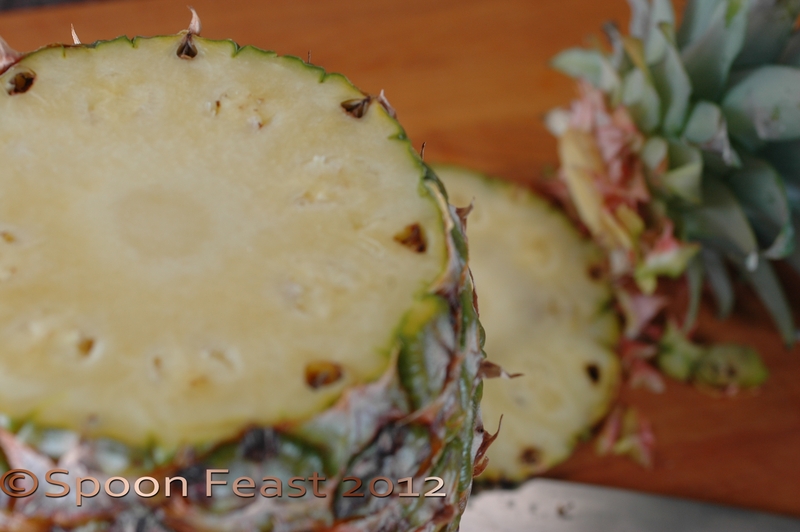 They are essentially mini pineapples but they are strong on flavor. You can still cut them the same way. 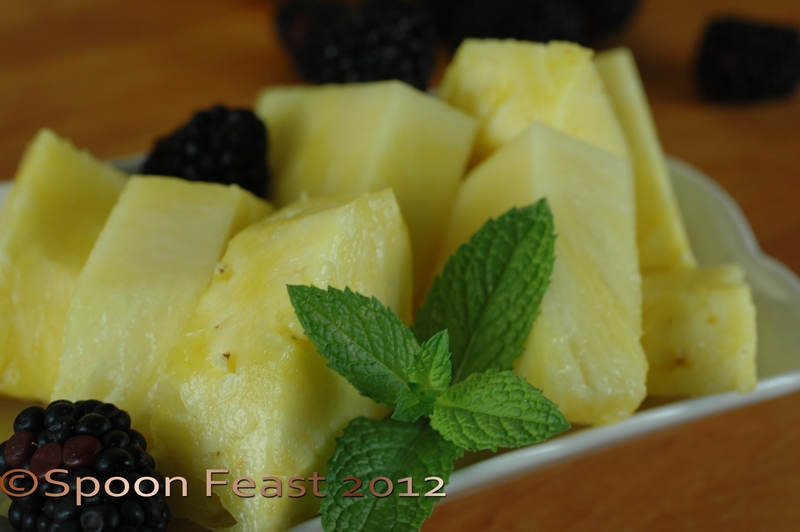 Those mini pineapples do pack a load of flavor!